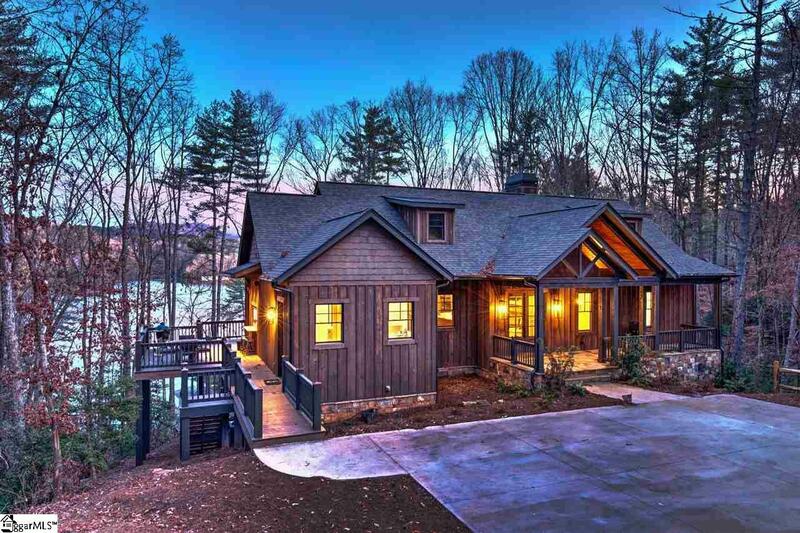 A quintessential lakefront retreat where generations of family and friends can gather, 100 Mist Flower Lane offers a private setting, an open and light-filled interior, and captivating views of Blue Ridge foothills rising from Lake Keowees pristine waters. 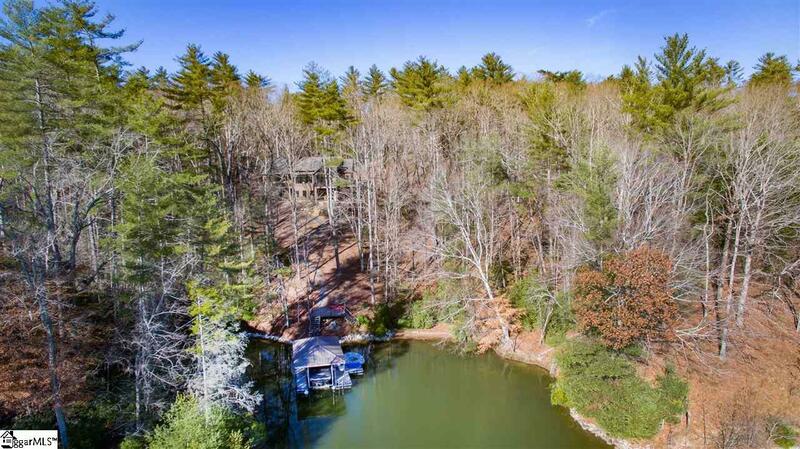 The home, conveniently located just inside the gates of The Cliffs at Keowee Vineyards, but exempt from The Vineyards POA (membership is also optional), sits just above the lakes northeastern channel. This site was pre-existing prior to The Vineyards community and is therefore "grandfathered into The Vineyards but not subject to Vineyards restrictive covenants. 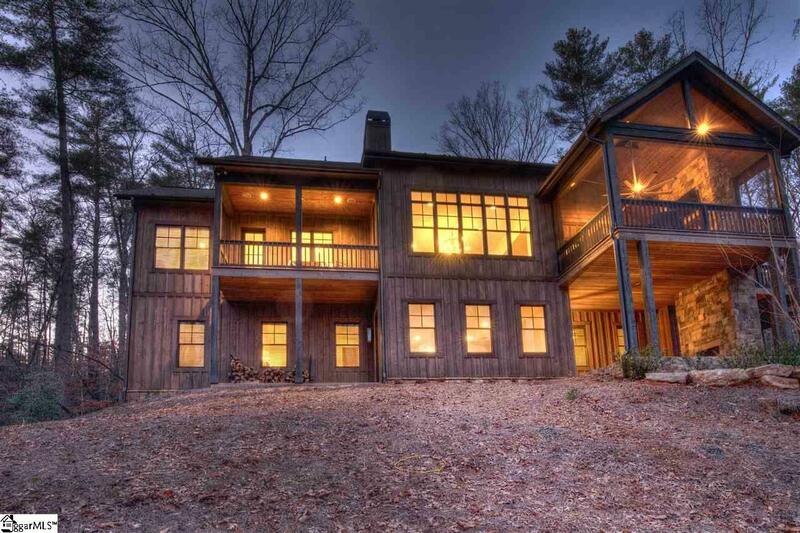 A natural wood and stone exterior, coupled with a rocking-chair front porch, exudes mountain/lake style. Inside, a long great room encompasses walls of windows and glass doors. An immense stone fireplace anchors one end, while the kitchen occupies the other. Top-of-the-line appliances (Miele fridge and Wolf gas range) blend with white cabinetry and a painted center island. In a stroke of functional brilliance, a wide kitchen window lifts open to create a seamless pass-through to a serving counter on the side grilling deck. (The deck is also accessed through a door in the kitchen.) 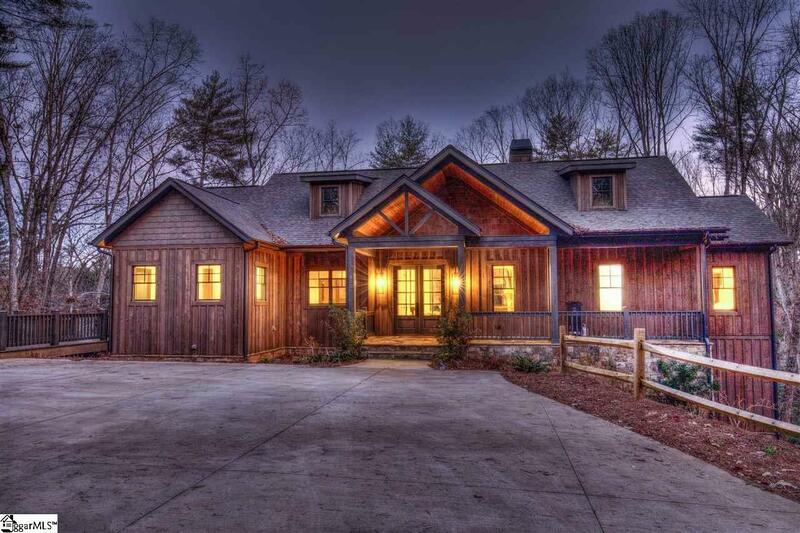 Doors in the dining area lead to a generous screened porch with fireplace. The main-level master suite has its own covered porch, and, in the en-suite, a double shower and freestanding tub. On the lower level, a comfortable family room is equipped with a bar kitchenette, while three outsized bedrooms share two well-appointed baths. Spacious unfinished storage has double doors to the outside. The family room opens to two terraces, the larger with the homes second outdoor fireplace. Stone steps and landscaped pathways lead to a lakeside deck and the covered dock with lift. Th home site is very private, with a winding concrete drive opening to a home that blends into its surroundings seamlessly. The moderate slope to the dock, which sits singularly in a private cove, also provides access to a beach. Privacy is easily enjoyed at this location. Taken together, the many amenities of 100 Mist Flower Laneeasy lake access, stunning views, and indoor/outdoor living spacesmake for lakeside living at its finest.